LEDs are solid state devices with no moving parts. 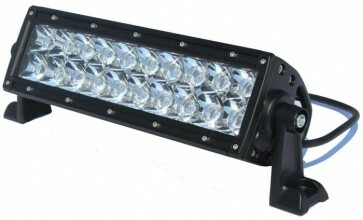 LED Lightbars are able to withstand shock and vibration better than traditional Halogen, HID and Xenon lights. The expanded life of the LED means that theyll last for over 50,000 hour compared to Halogen and Xenon lights which typically last up to 1,000 and 5,000 hours respectively. Considering the extreme conditions in off road environments, LED lightbars are the logical choice for all your lighting needs.